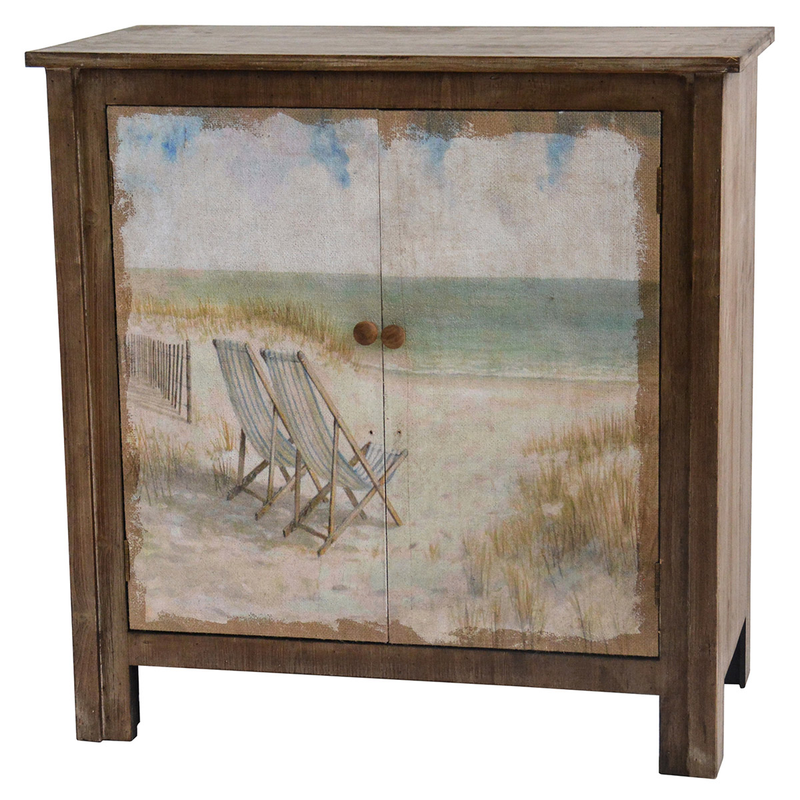 With a beautifully rustic beach scene of chairs by the sea, the Gulf Breeze Painted Canvas Beach Scene 2 Door Cabinet complements your ocean home. Ships from the manufacturer. Allow 1 to 2 weeks. Cannot express ship this beach style furniture. For even more items, we ask you to take the occasion to review our full selection of beach style cabinets at Bella Coastal Decor today.